Gammelstads Gästhem offers single rooms, double rooms, three bed rooms, four bed rooms and doublet rooms with room up to six people and rooms of hostel standard. There are kitchen is available for simpler cooking. The hotellrooms have their own restroom and some have shower. 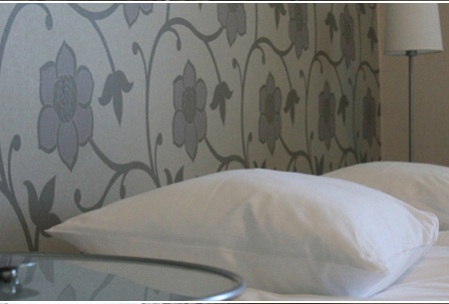 Bedlinen, towels, breakfast and cleaning upon departure is included in the price. In the rooms of hostel standard the beds could be bunk beds. The rooms have restrooms and the shower is found in the hallway. Bedlinen, towels & breakfast upon departure is not included in the price. Sleeping bags are not allowed in the beds. Normal cleaning is included. Bedlinen are available for rental for 75 SEK per set. Prices listed above is set for members of the STF/Tourist organisation. For non-members there will be an extra 50 SEK on the price for adults and 25 SEK for children. All guests, children as well, must be booked in their own bed. Do you wish to stay for a longer period? Contact us for a price. Check-in happens at 3 p.m. to 6 p.m. or according to agreement and check-out must be done before 11 a.m. Cancelling your reservation must be done at least 7 days before arrival. For groups we have the same canceling rules set by STF . Payment is handled when arriving or in advance to bank giro service: 5913-9550. The whole guesthome is animal and smoke free.